Assisted by consistent hard work of our adroit workforce, we are presenting a broad collection of LED COB Lamp. Offered products are developed under the direction of trained workforces by making use of first-class grade raw material which is been attained from certified vendors of the market. In addition, a team of quality checkers checks each product on pre-defined factors of quality so as to offer error free range. Monster Lighting Industries Is Manufacturer & supplier of all types of led lights or luminary i.e. 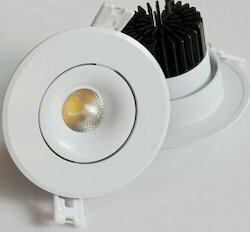 Street light , Home light , LED Tube Light , CFL Bulb , LED Bulb , Flood Light , Signal Blinkers & Multi Language LED Boards.